Car Care Clinic Jet LubeCar Care Clinic Jet Lube - Is Your Spare Tire Ready As You Need It? Is Your Spare Tire Ready As You Need It? 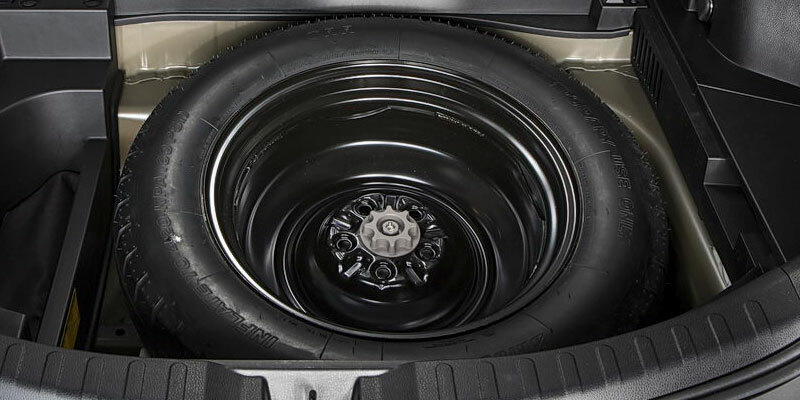 Home » Maintenance Tips » Is Your Spare Tire Ready As You Need It? Rather than have your busy schedule interrupted with an unexpected flat tire, a smart vehicle owner will take a little extra time to take care of any necessary problems with tires before heavy travel season arrives. Schedule a tire service at your nearby Car Care Clinic to make sure that everything looks good on your wheels. Remember to check the spare at the same time! Don’t get stranded on the side of the road with a flat only to find out that your spare is flat also! Knowing which kind of spare to purchase for your vehicle can be confusing, so ask us for expert advice before making your purchase. Here is a brief description of the various types of spares available on the market. Full-Size Matching: A full-size matching spare tire is identical to the other tires on your vehicle. This will enable you to continue driving until you can conveniently reach an auto shop. It should be included in the rotation pattern along with your other tires. Full-Size Non-Matching: This spare is full size, but does not match the other four tires on your vehicle. Don’t include this type of spare in your rotation pattern. Full-Size Temporary: This unique type of spare is built with lightweight construction and a shallow tread depth. Even though it matches the vehicle’s tire size specifications, it is made only to be used as a spare. Compact Temporary: This type is also lightweight with a shallow tread depth, but has much smaller dimensions. It requires a higher inflation pressure than both standard and temporary spares–generally 60 psi. Folding Temporary: This type of spare has to be inflated before it can be used so is more difficult to use. Did you know that some of the newer vehicles do not come equipped with a spare? Wouldn’t that be a nice surprise to find out roadside? So, ask a tire service professional to help you choose the right kind at the same time you purchase your new vehicle.